Equipped with the latest technology and offering life-saving procedures backed by distinguished emergency care doctors, well-trained nurses and other paramedical staff, Hospitals are able to handle all kinds of medical emergencies. We want to make sure you're feeling better after your visit at StatMD, so we take pride in our aftercare. Whenever you visit one of our clinics, you’ll leave with a summary of your visit and can set up a follow-up appointment with our receptionist if necessary. To ensure you received quality medical care, someone from us will also call you within the next week just to see how you're doing. When you leave our clinic, we won’t just hand you a prescription and leave it to you to figure out what to do next. We’ll refer you to a specialist who we trust will take good care of you. If you need pre-approval or pre-authorization, we will work with you and your insurance company If your illness needs continuous care or follow up medical care, we will help you get the tests needed for a speedy recovery. We’ll also help you find a doctor who will care for you during your recovery. At StatMD our goal is to provide you and your family with the most comprehensive, progressive, consumer oriented health care available. 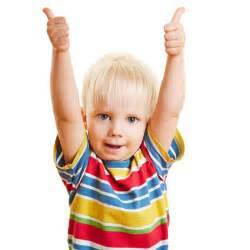 Watching healthy children grow and develop is as gratifying to us as it is to you. In essence, we are equal partners in a process that is on-going until your children are on their own. The impact that we both have on your children cannot be emphasized strongly enough - each day provides us with the opportunities to learn more about our children and ourselves. 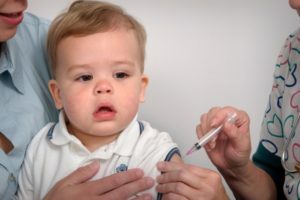 Whether it's your child's first visit to one of our three locations, or just a routine well–child checkup, we strive to make sure you and your child are always comfortable and informed. We take the time to talk with parents and care givers to help you understand your child's needs, and we equip you with the knowledge necessary for promoting a lifetime of optimal health and wellness. To help you get acquainted with our practice, we have provided important information you need on our website. Please browse these pages to learn more about our skilled doctors, services, office details, commonly asked questions, new patient forms and to eventually request an appointment. Our WarmHeart and staff, in our three locations, believe exceptional care is obtained when there is an on–going relationship between the doctor, staff and patient and family. We want to be lifelong partners in your child's health. We achieve this goal by listening to your questions and concerns, and educating you on how to promote a healthy lifestyle for the entire family. 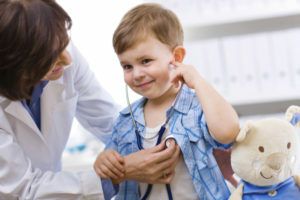 When you choose us, you can feel confident that you are teaming with knowledgeable, compassionate doctors and staff who have dedicated their careers to child–focused health care. Please do not hesitate to contact our office with questions or concerns. Our pediatricians and nurturing staff look forward to meeting you and your family. To keep yourself healthy, happy and safe over the age of 60, you need to undergo simple medical tests on a routine basis. But before you go on for tests, check your family medical history, review your lifestyle choices such as your eating habits, how active you are, whether you smoke or you are a heavy drinker and many more. The examinations and screenings depend upon your age, family history, your lifestyle choices and your overall health. The WHO classifies people aged between 45 and 59 as middle age, 60 to 74 as elderly and over 75 as old. 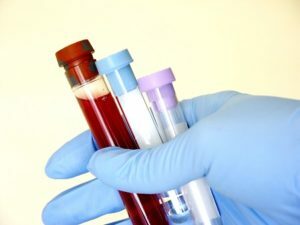 If you are over 60, 70 or 80 even though you seem to be hale and hearty, a physical exam including your height, weight and body mass index (BMI) measurement, routine blood tests, urine tests, stool test, an electro cardiogram (ECG), a chest X-ray etc, once every year can help detect many ailments including anaemia, infections, heart ailments, respiratory ailments, kidney problems, diabetes etc. You also need to get a routine check up if you already have chronic illnesses such as hypertension, diabetes, arthritis, cardiovascular diseases, asthma, respiratory problems, kidney problems etc. Ageing also affects your memory. The cells in the brain begin to die causing degeneration and progressive mental deterioration. The best way is to remain mentally busy and fit.” Depending on your health status your doctor can recommend you to get a general health check up every year. Workers' Compensation reimbursement is an assurance plan offered by your company for work related injuries. 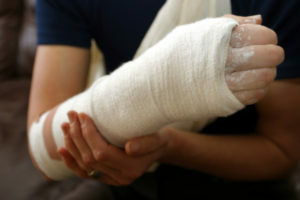 For Workers' Compensation to cover your medical bills then you must give all necessary information in a timely matter. All medical bills will be your responsibility if all below information are not given. It is important to tell the doctor you see what happened to you and why it is work related. If injured in an accident, your personal injury protection (PIP) may help pay for associated costs. Up to a certain threshold set by your state's laws. 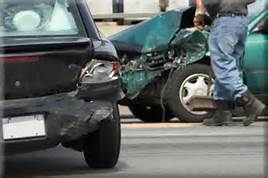 Your and your passengers' medical bills related to a car accident. You must give all necessary information in a timely matter for No-Fault Insurance to cover your medical bills. All medical bills will be your responsibility if all below information are not given. If you need X-rays, blood tests, or almost any other medical test, StatMD has the facilities and certified staff to administer them. Do not waste time scheduling tests weeks in advance. With our welcome walk-in policy, if you need a medical test, you can just visit your local urgent care center. We understand the difficulty of fitting appointments into your schedule so we have extended hours to make sure that you can get the medical testing you need without interfering with your daily routine. Our facilities are capable of performing nearly any medical test, and if we cannot handle it, we can recommend another facility for you. We understand how difficult it could be to schedule an appointment for an X-ray at a busy hospital, and that is why we made sure we could perform X-rays as well as a comprehensive list of other medical tests. Get all of your necessary medical testing out of the way by visiting StatMD. Our emphasis on doctor-patient relationships and efficient and effective medical treatment makes your health our primary concern. We know how difficult medical issues can disrupt your daily routine and leave you stressed. Simplify your medical visits by coming to StatMD. Our walk-In urgent care provides patients access to prompt medical care for minor illnesses or injury without an appointment. If you are experiencing any of these various symptoms or injuries, then you may look to our facility for the treatment and care that you need. It is vitally important that you speak with us regarding the suffering you are experiencing, and that you take the necessary steps to obtain the treatment that you need. At StatMD, we can provide you with the skillful treatment and care that you need in your situation. When you are dealing with illness, alleviating your symptoms is your primary concern. When you walk into an StatMD, your concerns become ours. Thanks to the dedication of our board certified doctors and expert medical staff, we are able to diagnose and treat your symptoms based on what is best for you. By listening to your concerns and answering your questions, we can bring you the peace of mind you need to start feeling better, fast. We know how difficult it can be to maintain your routine and sense of comfort when you’re feeling ill.
We emphasize building lasting doctor-patient relationships to ensure your continued health. At StatMD, you will not be left in a cold waiting room wondering who your physician is. 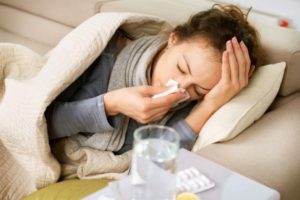 When you’re feeling ill, it is our goal to make you comfortable while we carefully address your medical concerns. StatMD is prepared to handle a wide variety of illnesses, and our walk-in policy encourages you to visit us as soon as you require medical attention for your symptoms. StatMD urgent care center focuses on the prevention, evaluation, treatment and resolution of health conditions caused by the workplace environment. 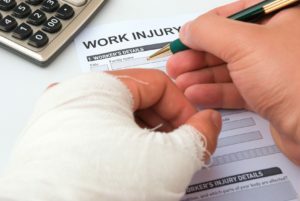 Specialists in occupational medicine are thoroughly trained to assess the origin of worker injury and illness, taking past history, work conditions and other factors into consideration so that injuries and illnesses are properly classified and treated appropriately to ensure workers’ safe return to work. Specialists in occupational medicine are experts in managing and monitoring the health of employees, and improving their well-being through health promotion and education, workplace hazard analysis, and ensuring workplace compliance with laws and safety standards. Occupational Medicine specialists receive formal training in public health, preventive medicine, population medicine, epidemiology, toxicology, and research, with emphasis on employee health and conditions caused by workplace exposures. We believe that the delivery of comprehensive quality care is essential to reduce the high costs associated with medical claims and litigation in the work place. Our physicians provide the highest quality of health care to the injured employee with the goal of early return to work with minimum or no lost time. We provides services that ensure a sound employee hiring practice.